Ceiling Lights There are 830 products. Dar cloud range is modern art, this 9 light ceiling fitting has a unique style which not everyone will have. This stunning light fitting is finished with a polished chrome frame and complete with white glass baubles. Oaks Tiffany jewel non electric shade, This shade is extremely easy to be fitted and looks stunning when in use, there is also matching products with in this range which can be found within the jewel range. Oaks Pandora black mirror 5 light flush ceiling light. Oaks Wren 5 light chandelier with beautiful ceiling light is finished a polished chrome, bringing that finally touch to your home. 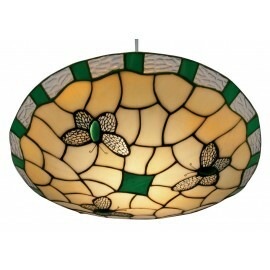 Oaks Tiffany non electrical ceiling light shade, this flush shade is made with green and cream leaded glass. 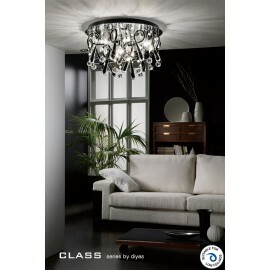 Dar cloud range is modern art, this 18 light ceiling fitting has a unique style which not everyone will have. This stunning light fitting is finished with a polished chrome frame and complete with white glass baubles. Oaks pandora 3 light mirror black ceiling light. Perfect to be hung up anywhere and LED compatible. Oaks Wren 3 light chandelier with beautiful ceiling light is finished a polished chrome, bringing that finally touch to your home. 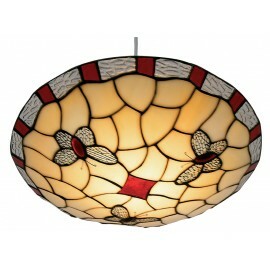 Oaks Tiffany non electrical ceiling light shade, this flush shade is made with red and cream leaded glass. 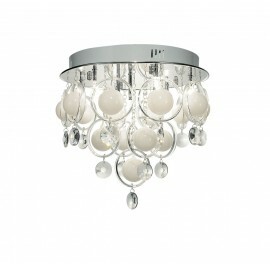 Dar Boda 3 light double glass pendant with a satin chrome finish. 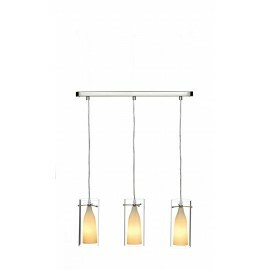 This three gorgeous lights would look perfect in a hall way or kitchen / dining room. 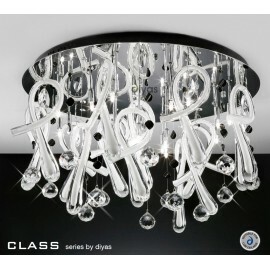 inspired Diyas IL50386 polished chrome fitting dressed with hand crafted looped glass with asfour crystal spheres and contrasting glass stones.